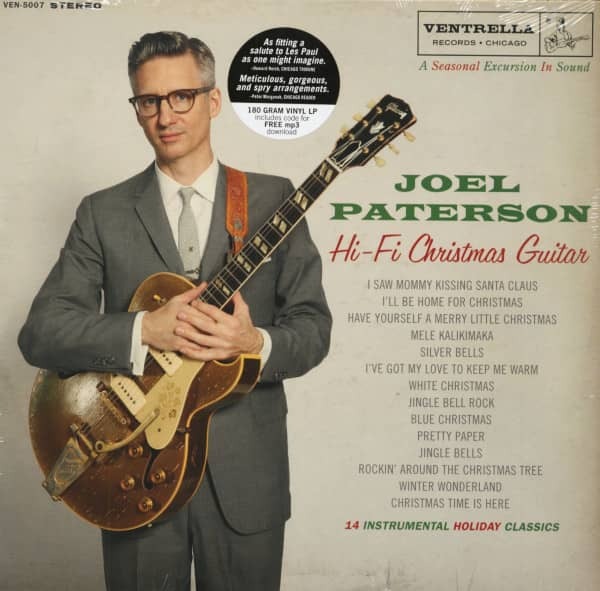 Hi-Fi Christmas Guitar is a brand-new 14 song Christmas LP by Chicago-based guitarist Joel Paterson. 14 Christmas classics that move between Jazz, Western Swing, Rock'n'Roll and classical Country. 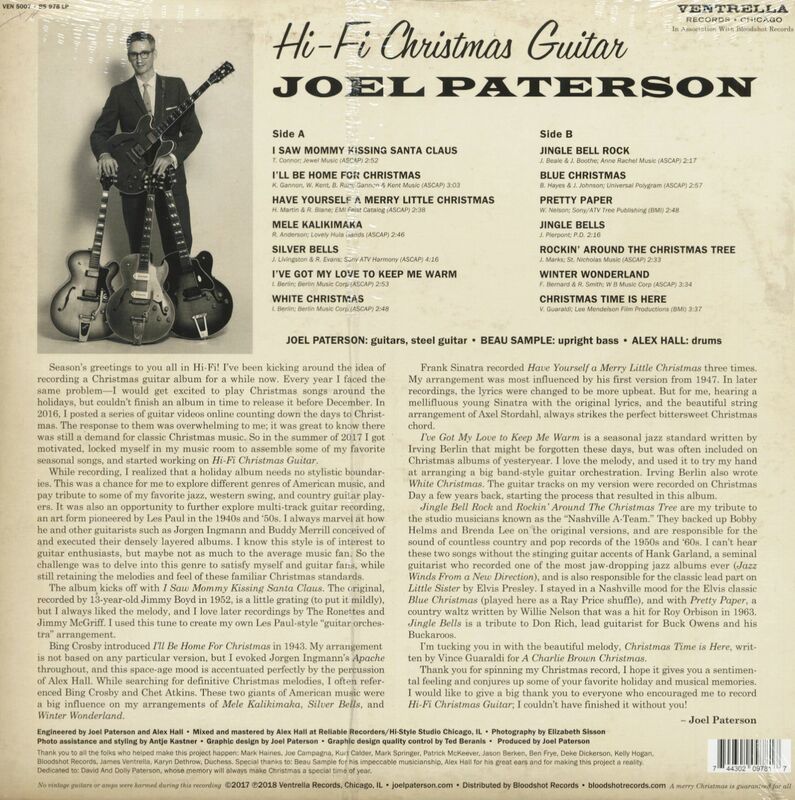 Joel Paterson pays homage to his personal heroes Les Paul and Chet Atkins with this album. A celebration for all Rockabilly and Rock'n'Roll fans! Joel Paterson is one of the most active artists in the roots music scene in the States, playing with Devil In A Woodpile, The Western Elstons, The Modern Sounds, The Joel Paterson Organ Trio featuring Chris Foreman and others. Customer evaluation for "Hi-Fi Christmas Guitar (LP)"